Depending on what media outlets Americans engage, they might think that Puerto Rico is the only US territory hit by hurricanes recently, but that's not true. The US Virgin Islands were hit twice - by Hurricanes Irma and Maria - and for the most part have been overlooked in the national disaster relief conversation, said US House of Representatives Delegate Stacey Plaskett. The Category 5 storms left the community without power and Internet service, preventing many stores and pharmacies from serving customers who mainly use cards to purchase essential items. "We hear headlines about what's happening in Puerto Rico," she told MSNBC's Joy Reid last week. 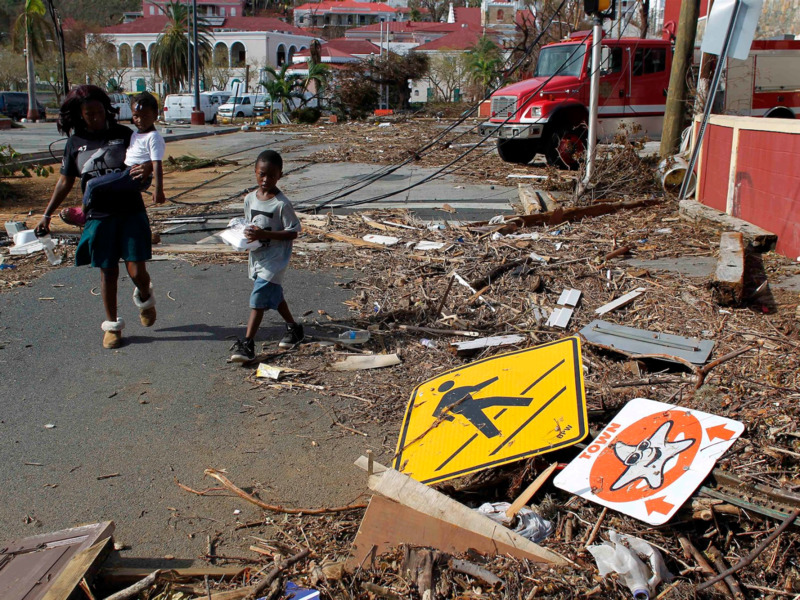 "I can't tell you the low morale that the people of the Virgin Islands have right now about how the federal government and the rest of the Americans feel about them because we hear nothing - nothing about the people of the US Virgin Islands." "And unfortunately, some of us are beginning to think that maybe it's because the US Virgin Islands is a primarily black territory that we're not hearing anything in the news," Plaskett added. "There's no discussion about us."